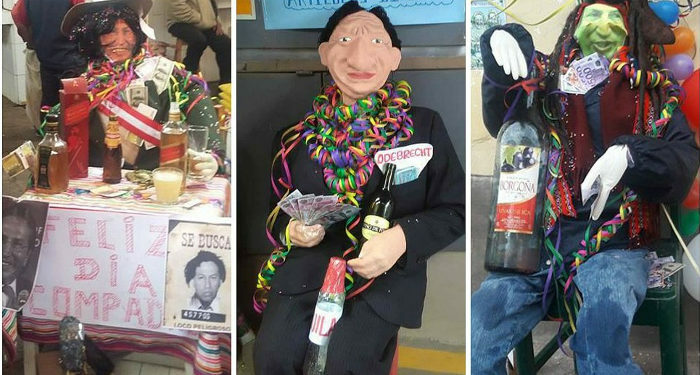 One of the old traditions of the carnival in Peru, especially in our province of Cusco, are the feasts of Compadres and Comadres that this year was scheduled for February 1 and next Thursday February 8 fulfilling the tradition that it will always be a Thursday , as a prelude to carnival parties, that is two weeks before. The Compadre is the person called godfather, whose kinship in the life of Catholicism links him to the other family by baptizing a child, first communion, confirmation or haircut, the latter, which still occur in some towns. The sponsor is usually an adult person who agrees to be part of the family relationship, assumes responsibilities as a co-parent for the sponsored child. The Comadre is the godmother like the Compadre, has the same functions, is the female version, usually the godfather and godmother are husband and wife and is the confirmation of a relationship of friendship and respect, and from this bond, both families they become compadres. Thursday of compadres (men), is a Cusco tradition, it is a very special day, the morning dawns with something curious, funny and jocular, previously days before the gossips, neighbors and young people from the village or neighborhood satirize an authority, a character well-known, loved or hated, highlighting his physical and personal characteristics, hanging a rag doll on a public lighting pole, with dimensions equal to that of a man, with clothes (pants, shirt , underpants, etc.) of the same character that days before they were stolen by some curious women, causing mockery, satire, joke, laughter and laughter in the spectators, this without the intention of doing harm, simply by custom of carnival parties.The grandparents tell , that the neighbors days before had What to take care of your clothes when drying in the hanger after washing, because they could fall into a joke. 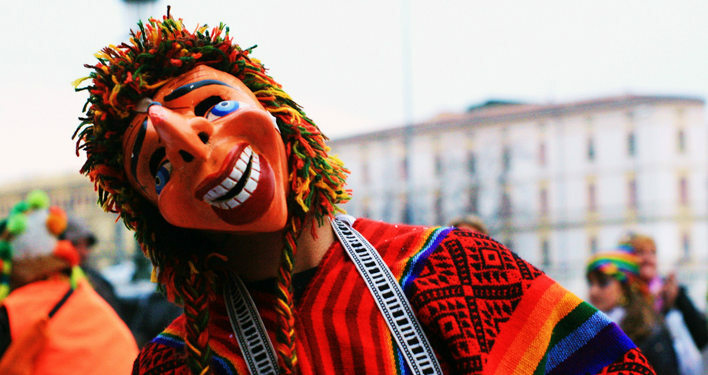 This and many other traditions are what make the Cusco carnival special, something that is not repeated in other cities. 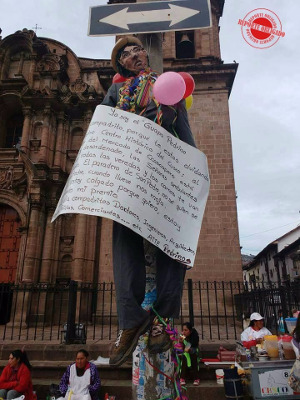 Next Thursday Comadres celebration is coming, we will be aware of this tradition to spread it through our blog, our school is committed to disseminate and rescue these traditions that still endure.